London is always hip. With William and Kate and the 2012 Summer Olympics it made sense that London Doodles would be second in the City Series following Paris Doodles. 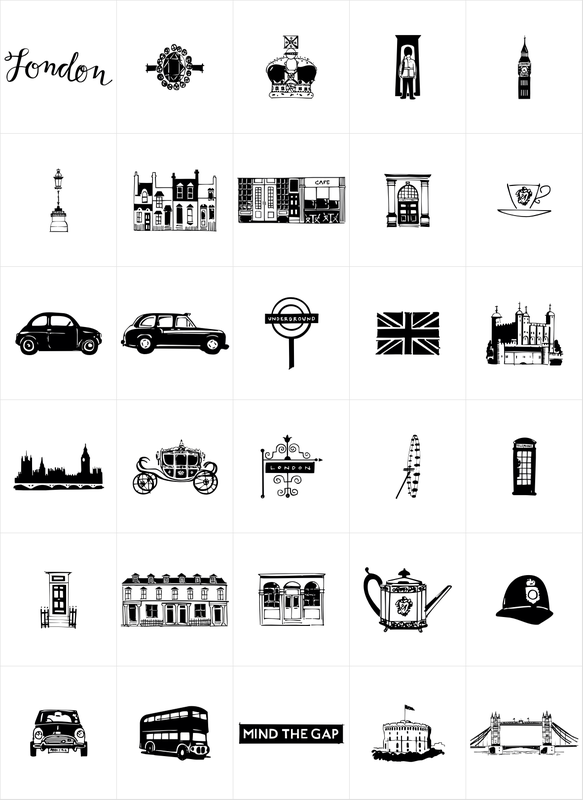 29 illustrations and a script word London. Kate's ring, the Queen's carriage, crown, skyline, cityscapes, cars, double decker bus, castles, bridge, tea items, flag and more.